Iran launches naval maneuvers in the Gulf, announces plans for another exercise in the Strait of Hormuz later this week. Iran on Tuesday launched naval maneuvers in the Gulf, and announced plans for another exercise in the strategic Strait of Hormuz later this week, AFP reported. 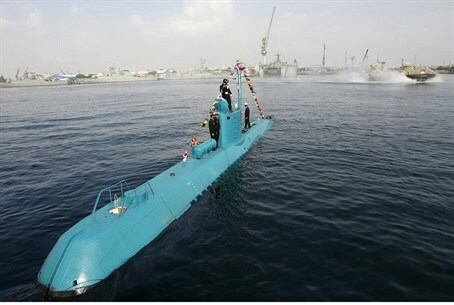 Revolutionary Guards naval units began a four-day exercise inside Iranian waters at South Pars, a joint gas field between Iran and Qatar, a Guards spokesman was quoted as saying by the Fars news agency. The drill, dubbed "Fajr 91," is aimed at honing "capabilities in executing defensive and security scenarios," Admiral Alireza Nasseri said without elaborating. The Guards are tasked with defending Iran's territorial waters in the Gulf. The regular navy, meanwhile, on December 28 begins an exercise dubbed "Velayat 91," covering an area that includes the Strait of Hormuz, the Sea of Oman and parts of the Indian Ocean, navy chief Admiral Habibollah Sayari said in remarks reported by the ISNA news agency. Warships, submarines and missile defense systems will be used and tested during the exercise, Sayari said. "We will definitely respect the maritime border of our neighbors, and conduct the maneuvers based on international law," Sayari said. "Iran aims to demonstrate its defensive naval capabilities by conducting this exercise, and send a message of peace and friendship to regional countries," he was quoted by AFP as having said. Iran frequently conducts missile tests and maneuvers to underline its military muscle and has repeatedly threatened to close the Strait of Hormuz to oil tanker traffic should it be attacked. The strait is a narrow channel at the entrance of the Gulf through which a third of the world's traded oil passes. The United States has warned Iran that any attempt to close the strait would be viewed as a "red line" -- grounds for U.S. military action. Iran's navy, with 17,000 servicemen, is tasked with defending Iranian interests in the Indian Ocean and beyond. Its offshore forces are limited to half a dozen small frigates and destroyers, and three Russian Kilo class submarines. Iran regularly denounces the regional presence of foreign forces, including the U.S., particularly those stationed in the Gulf. It says the security of the region must be ensured "by regional countries." Arab monarchies on the opposite side of the Gulf from Iran are worried by what they see as territorial ambitions by the Islamic republic, which frequently stresses Persia's historic dominance over the waterway.